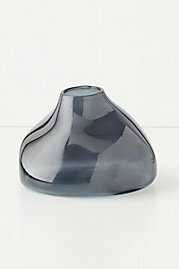 Perhaps I’ve blogged about unique vases before…a series of heart-stopping decorative glass features to highlight your new apartment? No? 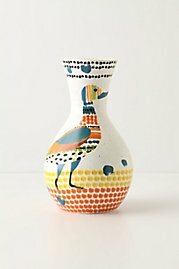 Well, one of my favorite shopping sites, Anthropologie, is loaded with fun, artistic, affordable finds in just about every area of design and fashion, and their catalog of vases in full of expressive, creative pieces of art. 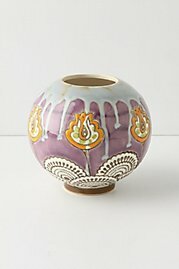 Okay, some are a little pricey, but here I’ve selected one you’ll find easy on the eyes and the pocketbook, like the Mehendi Vase above for $16. Enjoy…. 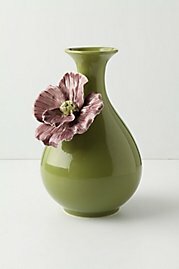 For more information on apartment living, moving made easy, and ideas for renters visit Apartments I Like or the Renters Corner at the top of this blog. 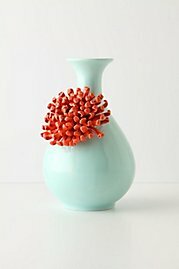 This entry was posted in Lifestyle Guide and tagged apartments, art, decor, decorating, decorative, design, fashion, furniture, home, interior design, interiors, living spaces, Pennsylvania, shopping, style, vases. Bookmark the permalink.